Get in touch with your inner monkey and stay in a tree house! 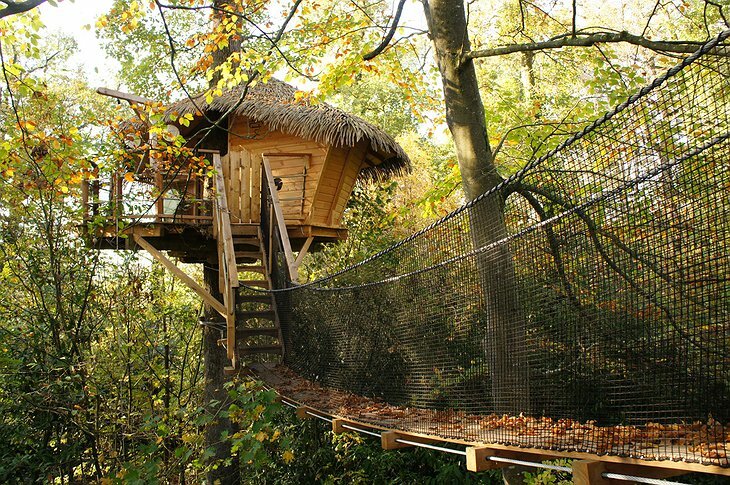 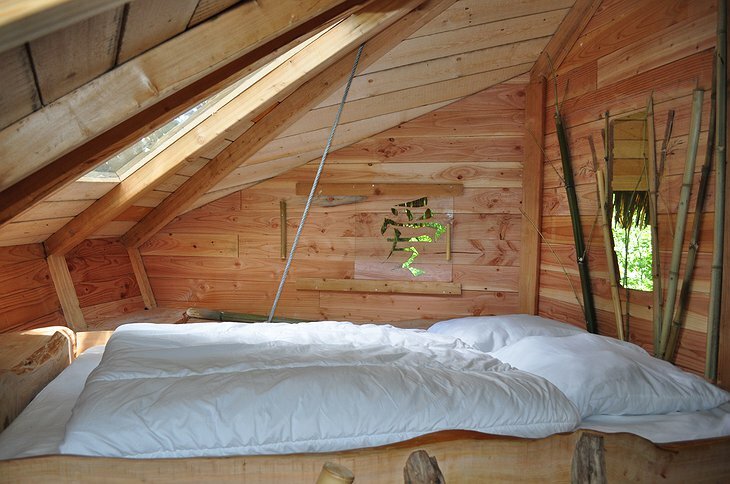 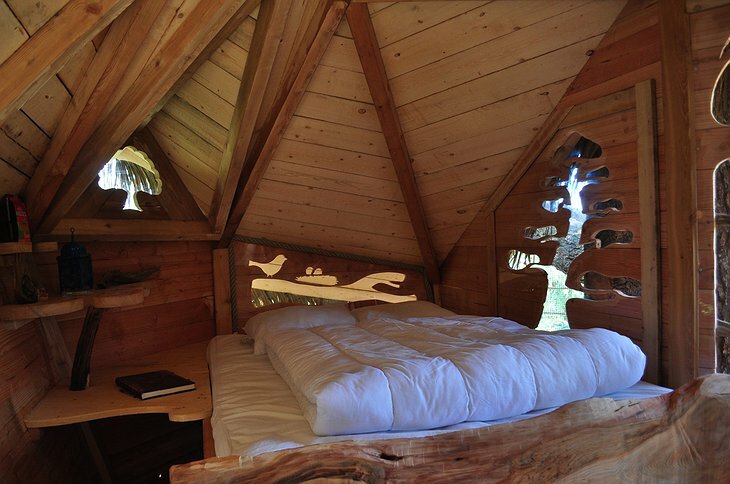 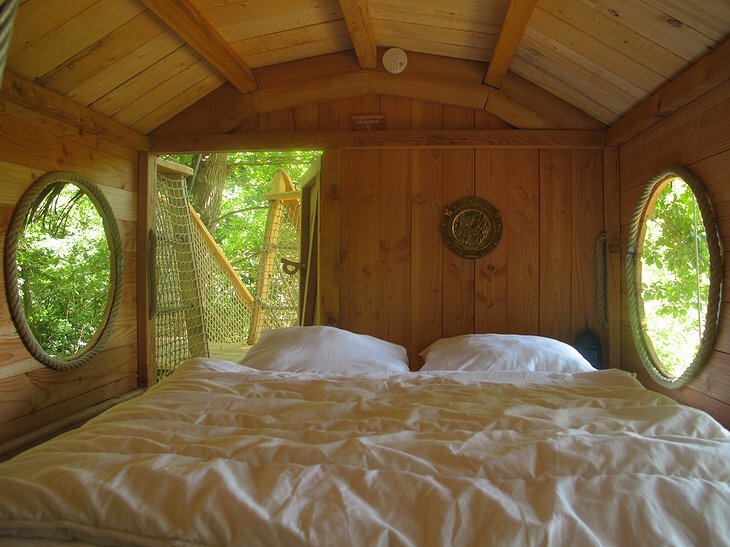 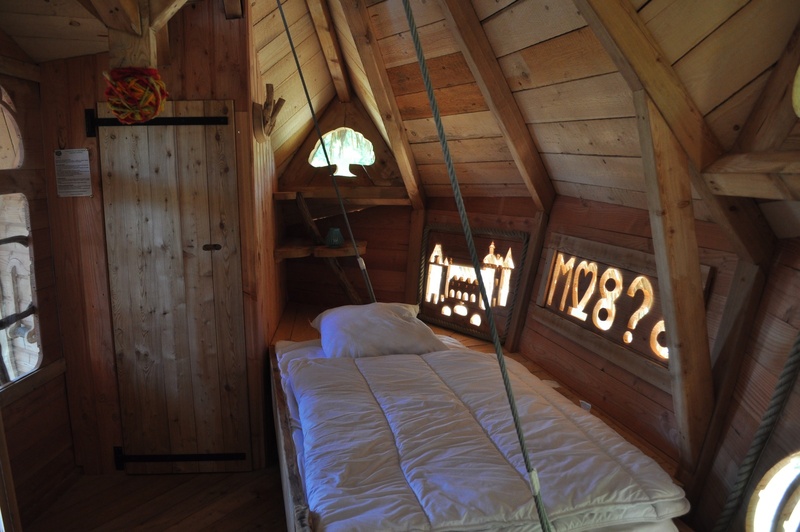 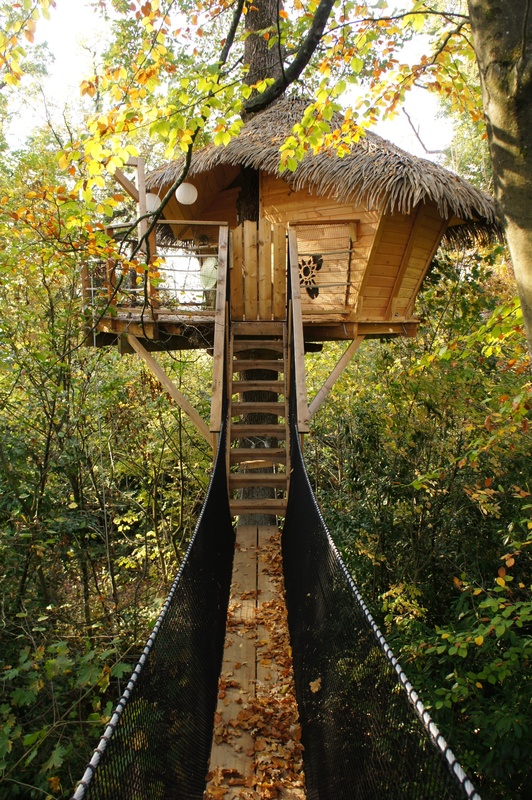 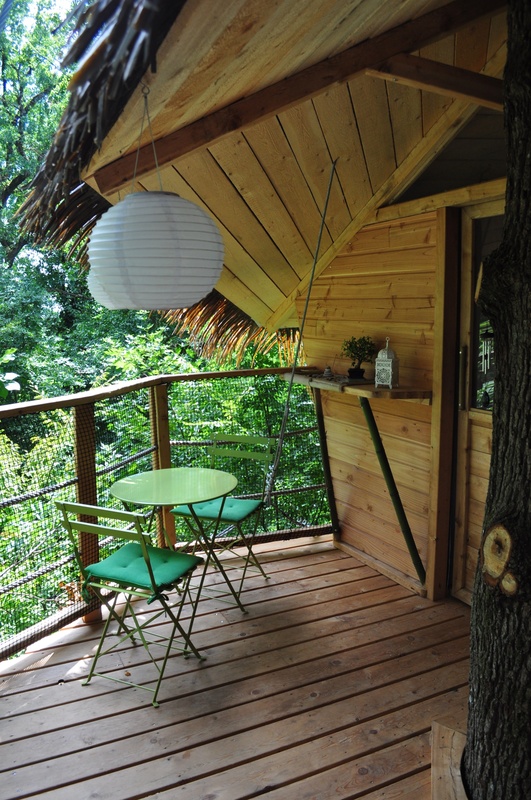 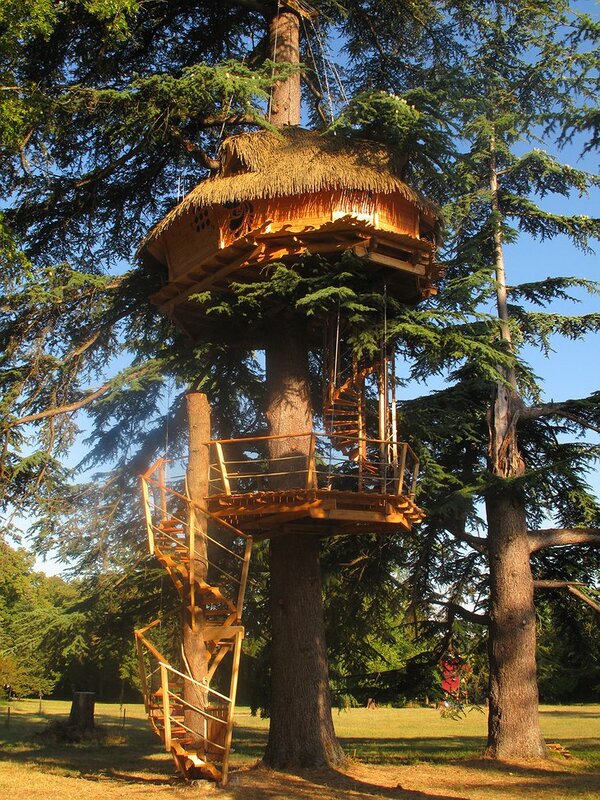 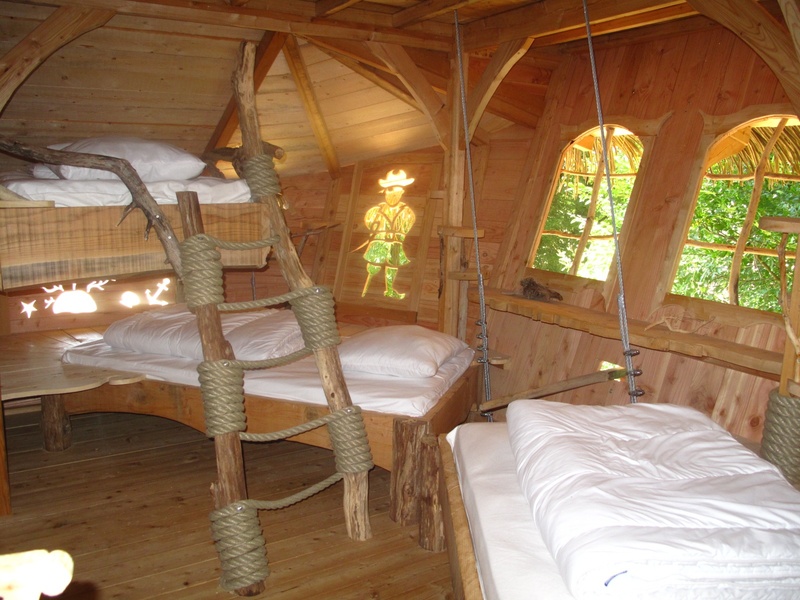 The Sur Un Arbre Perche lets you relive your childhood and spend the night in a tree house, communing with nature, and enjoy the scenery of the Chateau des Enigmes Park. 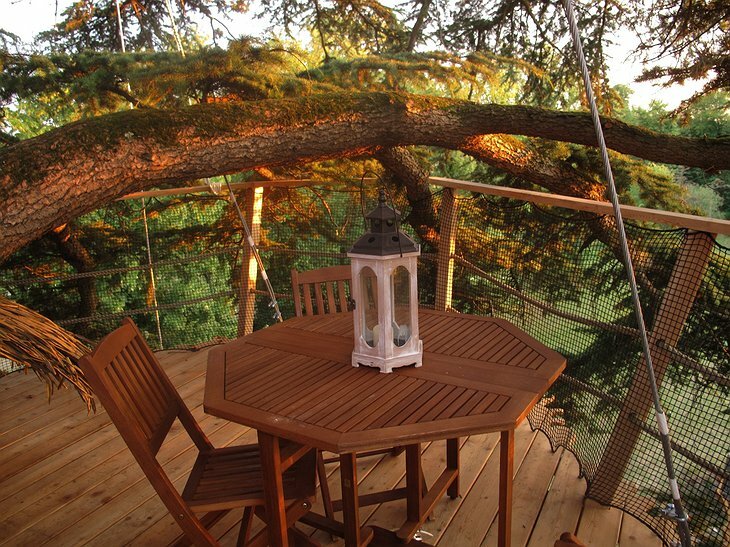 Your breakfast is literally pulled up to your terrace using an old fashioned pulley system. 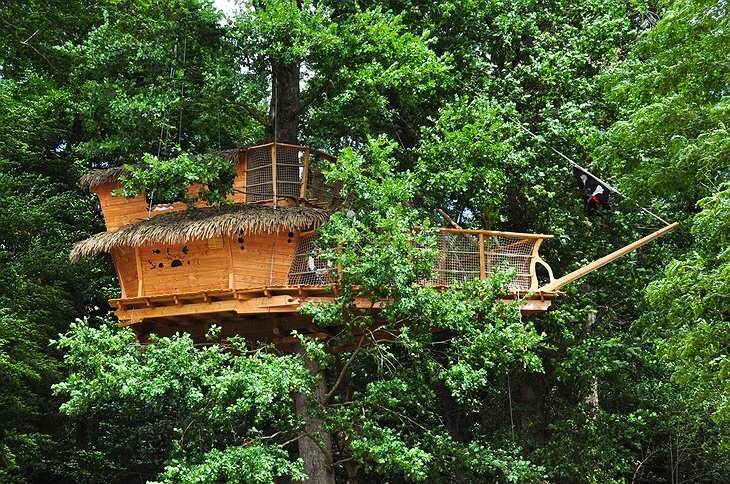 There are tree houses for couples and for families. 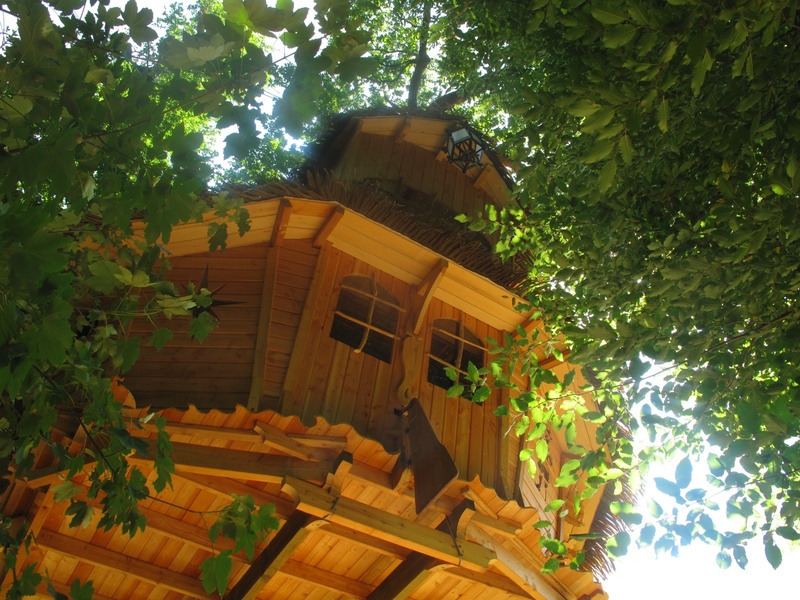 No electricity is provided but there are composting toilets, large terraces, and plenty of wildlife gazing, including a petting zoo for children and big kids at heart. 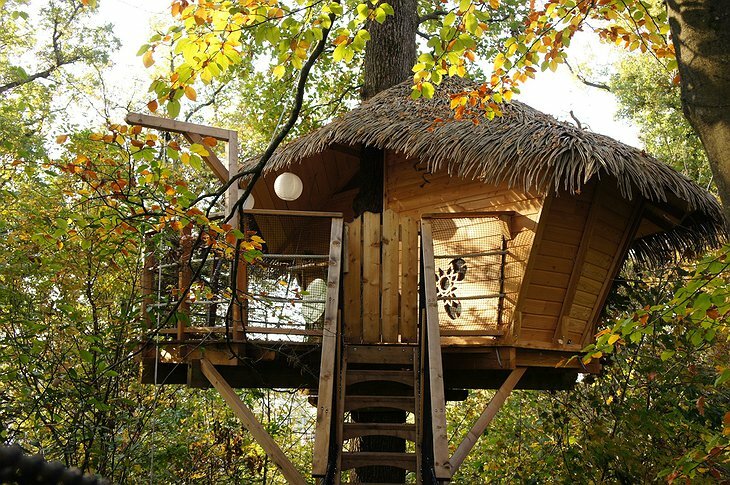 In case you’re wondering, houses are secure, as they are built according to the health and shape of each tree. All constructions are eco friendly and no nails or screw are needed, meaning the majority of accidents that could happen due to faulty constructions are impossible. 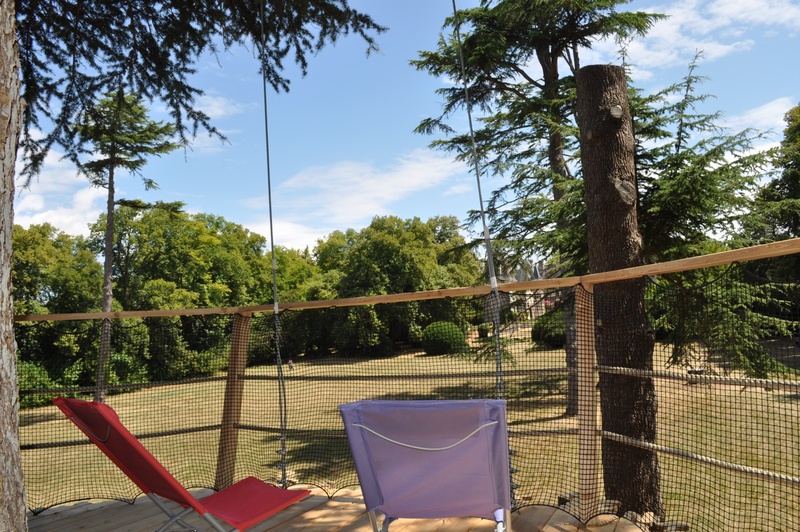 There are also safety nets in place for extra protection. With a convenient location nearby Royan, Bordeaux, and La Rochelle this is a nature lover’s ideal stop.